THE Jim Way HDPE polymer roller, widely used in materials handling conveyor applications, is now available from the Australian distributor, Transmission Supply and Service (TSS). The roller is available in diameters of 89, 102, 108, 114, 127, 133, 139 and 152 millimetres. Applications include mining, quarrying, chemical, salt, fertiliser, sugar, pulp, and many others. Installed benefits of the precision-moulded JW-HDPE roller include impact resistant, anti-corrosive, anti-static, low noise with increased safety standards, in a lightweight, fully-sealed alternative to conventional steel rollers. 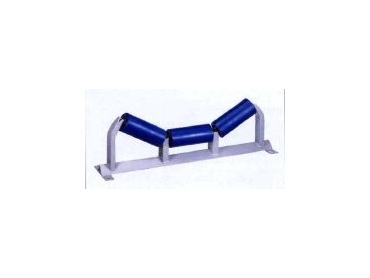 Jim Way HDPE rollers and support frames/brackets are now available as part of the TSS conveyor product range, which includes idlers, pulleys, impact beds/bars, skirt systems, motorised drums, belt cleaners, metal detectors, belt tear detectors, lagging products, and accessories.